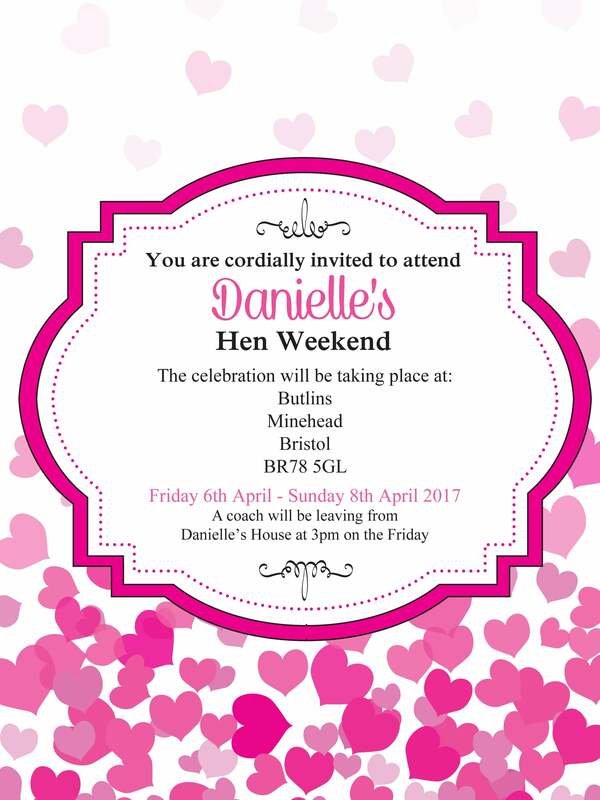 Invite your hens in style, with this pretty falling hearts style hen party invitation. The design can be personalised with your name and your unique hen party information, such as location and times. We will input your information into the design, and send it to you via e-mail. You will receive a PDF file which you can simply download and print!